Trinidad and Tobago National Senior Team head coach Stephen Hart yesterday slammed Barnet FC manager Martin “Mad Dog” Allen as unprofessional and disrespectful to the “Soca Warriors”, after defender Gavin Hoyte failed to show for Friday’s friendly international against Mexico in Salt Lake City, Utah. Photo: Barnet FC defender Gavin Hoyte. Hoyte, a former Arsenal and England youth team player, was due to travel from London on the weekend with fellow England-born Trinidad and Tobago player Andre Boucaud. 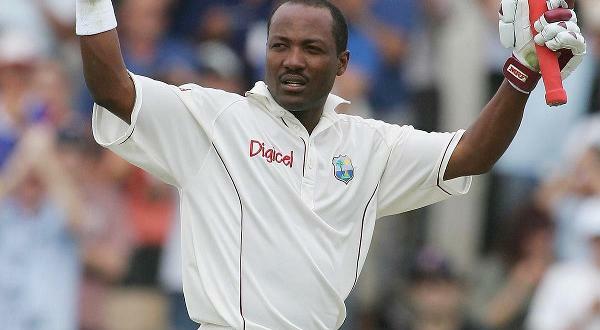 However, Hoyte never showed. His failure to travel left the Warriors with just five available defenders to face Mexico on Friday. Hart placed the blame on the Barnet manager, who carries the sobriquet “Mad Dog” from his time as a wild, West Ham defender. 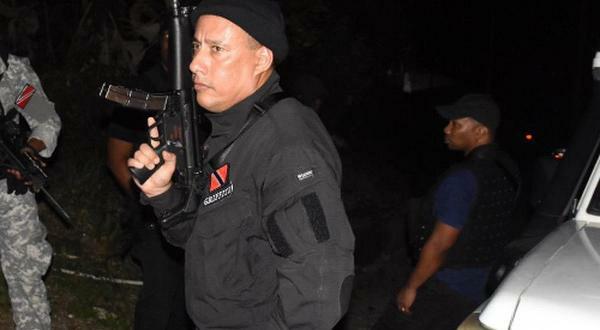 “I was not pleased with how his club handled it,” Hart told the TTFA Media. “Basically they bullied the player. They told him he would be available and they would release him. “And then, just hours before he is supposed to get on the plane, they refused to let him go and then you place the player in a situation where he is in a scrap with the club and the manager. 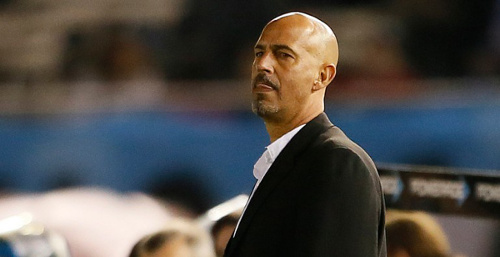 Photo: Trinidad and Tobago national senior team coach Stephen Hart studies his options during a 3-0 friendly defeat against Argentina in June 2014. Barnet plays in League Two, which is three divisions below the England Premier League, and their competitive fixtures are not stopped during the international break. Almost certainly, Hoyte will represent Barnet against Carlisle on Saturday as there was no suggestion that Hart will seek to impose FIFA sanctions on the club, which could temporarily prevent them from using the versatile defender. But Hart suggested he would take a tougher stance in the future, as the Warriors prepare to start their Russia 2018 World Cup qualifying campaign. “It is certainly a situation that I am not going to look upon lightly with other players as well if it comes up,” said the Warriors coach. “I will enter discussions with Gavin because he has to also put his foot down with the club. They didn’t say (no) from the beginning because then they knew we could refer to the FIFA statutes. 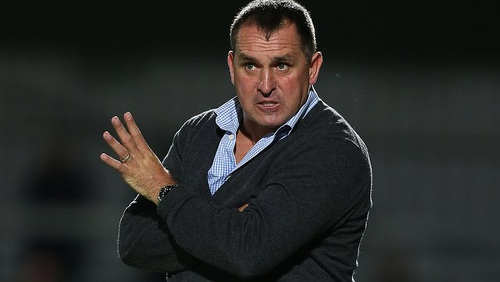 Photo: Barnet FC manager Martin Allen. Hart allowed team captain Kenwyne Jones and defender Sheldon Bateau to skip Friday’s international as both Europe-based players had hoped to secure moves before the transfer window closed. Hoyte’s only two senior international caps came as a substitute in Trinidad and Tobago’s glamour friendlies against Argentina and Iran in June 2014. 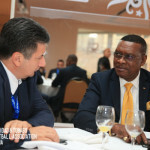 Since then, the defender, who can operate in central defence or at right back, pulled out of a friendly away to Jordan in June and also ruled himself out of the pre-tournament camp before the July 2015 CONCACAF Gold Cup. His late about-turn affected the balance of the Warriors squad and Hart vowed not to be in this position again. There have been positives for the Trinidad and Tobago squad in Utah, though, as Hart praised the attitude of recalled players Trevin Caesar and Neveal Hackshaw. “Caesar is coming in with a renewed energy and passion,” said Hart. “I like how he has trained. Hackshaw has always been a player that seems to be all business. For a young man, he has a very good professional attitude and I like that. 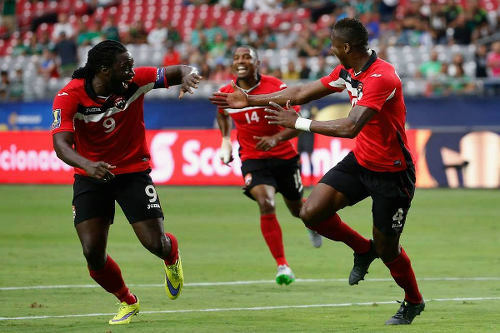 The Warriors will have their final training session this evening at the Rio Tinto Stadium before their return clash with the Gold Cup champion team, which Trinidad and Tobago held to an exciting 4-4 draw, two months ago. 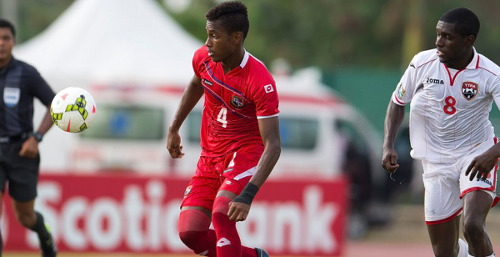 Photo: Trinidad and Tobago midfielder Neveal Hackshaw (right) keeps an eye on Panama right back Michael Murillo during 2015 CONCACAF Under-20 Championship action. Forwards: Willis Plaza (Central FC), Trevin Caesar (Austin Aztex—USA), Jonathan Glenn (Breioablik—Iceland), Rundell Winchester (Portland Timbers 2—USA). Lasana, here’s the original article that has a little more detail. In it, Allen says that Gavin agreed not to make the trip. After all de old talk, Hoyte eh even play for Barnet this weekend. Hart damn right. I see Notts County postpone a game dat supposed to play dis weekend because two of dey players get called up for Northern Ireland, and one for Togo. Dem managers does still see we as a tin pot outfit.